Anyone reading this blog knows I am a big fan of ocean cruising and love big ships and everything they have to offer. But the more I cruise and the older I get, the more I find that the smaller ‘upper premium’ and luxury ships interest me. These tend to be smaller ships with fewer passengers, have more attentive service and more time is spent in port. I find myself appreciating that immersive experience you get on luxury ships, maybe even excursions thrown in to explore the destinations better – since the ports are the destination, more than the ship itself. This in mind, it’s only natural I have gotten more interested in the river cruise options out there. I’m so excited to say that I have finally decided to dip my toe in the water. This December, I am taking my first ever European river cruise sailing. But why should you follow my lead? Let me tell you why it would be daft not to consider a river cruise for your next cruise holiday. Here are my 5 reasons as to why a river cruise should definitely be on your radar for 2019. For a discerning cruiser, looking for that next special holiday, river cruises have so much to offer. Much like the small luxury ocean cruises, river cruises have not just luxurious surroundings to offer but also many of the same all-inclusive perks. 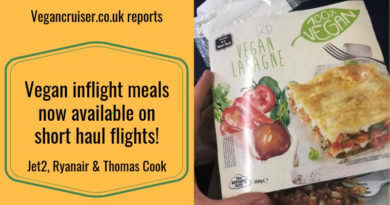 Like luxury ocean cruising, a river cruise holidays commonly include the cost of flights, transfers, all meals onboard and mealtime drinks in booking. 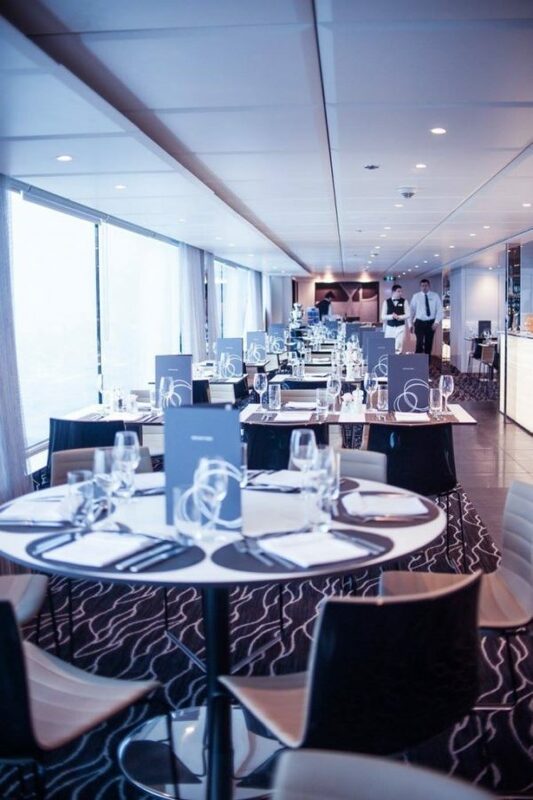 And as there are fewer passengers onboard on river cruise ships, the service onboard will be more personable.. for the higher staff-to-passenger ratio. River cruise ships generally host anything from about 250 to as few passengers as 44, depending on the ship/company. Like their larger ocean cruise ship cousins, river cruise ships offer many of the same features. You can select from a range of cabins and suites, there are balconies on some ship. 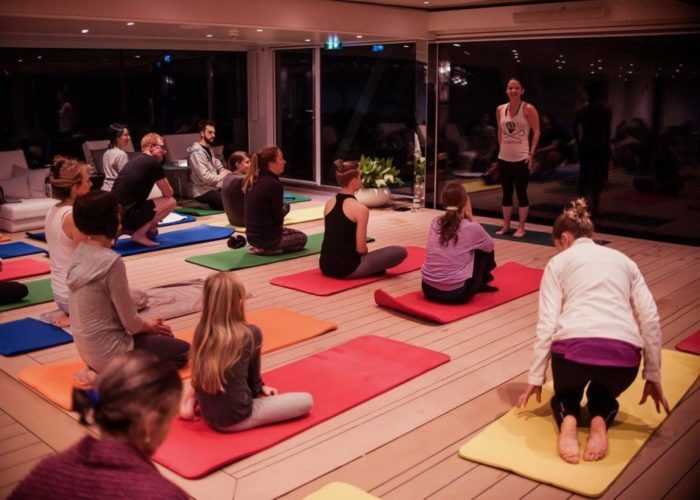 River cruise ships can also offer gym facilities, swimming pools too. 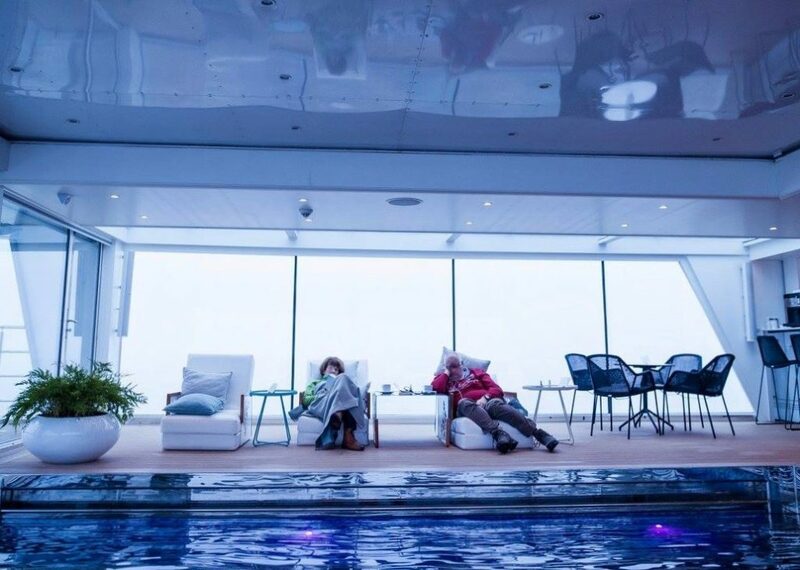 Sometimes they’re on the top deck as pictured above – sometimes the pool is indoors. Just look at this amazing indoor pool below! It retracts to create a space for other activities needing floorspace – like yoga. 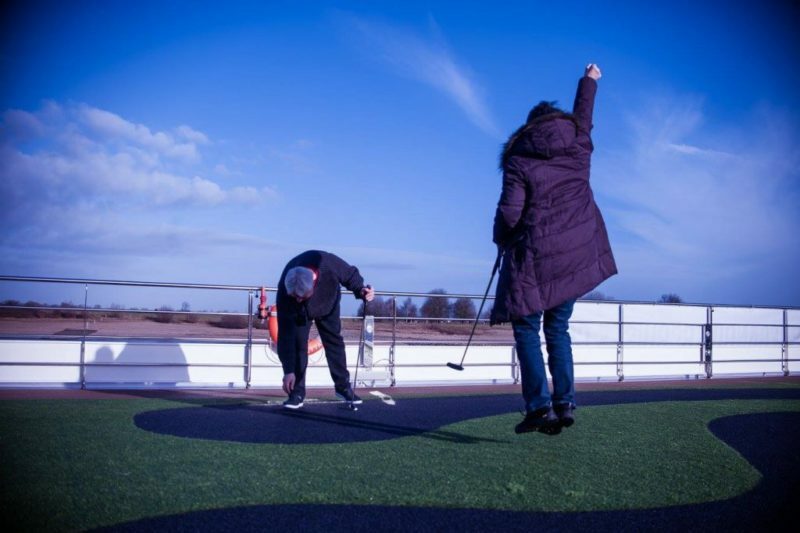 When on a river cruise, you may be able to play minigolf on the top deck just like an ocean cruise ship – or just sunbathe while enjoying the views. Naturally alfresco dining and drinks are available when weather so permits. 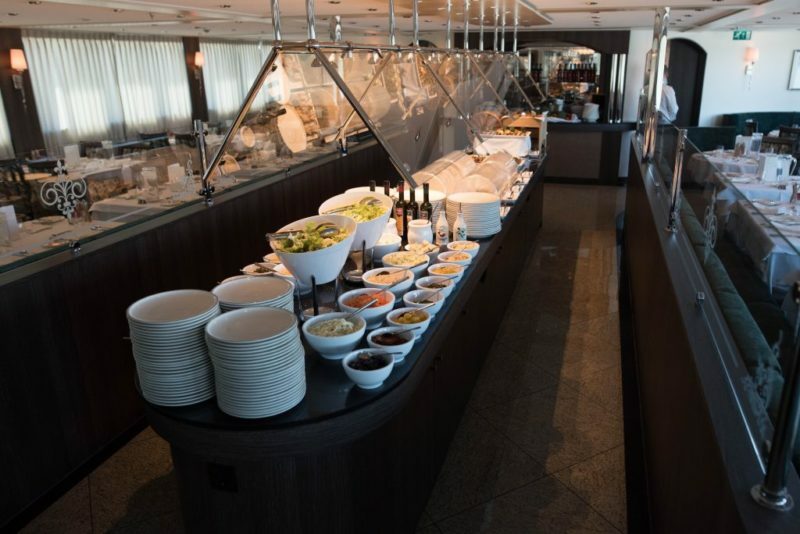 River cruise ships offer buffet and a la carte dining options, a bar/lounge for drinks, some host even spa facilities for treatments & hairdressing. Just like ocean ships, but on a smaller scale. Much like small ocean ships who sail into exciting ports the large mainstream ships can’t, river cruise ships too can take you to interesting cultural destinations deep inland. And as I mentioned already for good value, on river cruises the excursions are usually included in your river cruise fare for you to explore your destination without further cost. River cruise ships also dock right in the heart of the city or town you are visiting, unlike on many ocean cruises. On an ocean cruise, sometimes you dock in an industrial port miles away, requiring transport to get you to your actual destination. But on a river cruise, the ships dock right in the town reducing both the need for expensive & time-consuming transfers and the costs related to getting to your destination. And river cruises aren’t just available in Europe, although these are the ones most known to people. Should you want to explore the world further away, there are river cruise options in Russia, South America and Asia. And naturally USA too, such as sailings on the Mississippi river, or even Alaska. When someone says they wish to try cruising but they are sensitive to motion, I always suggest river cruising. There are no choppy seas, instead tranquil rivers and stunning views on either side of the ship. I went on my first river cruise in Egypt back in 2007. One of my many cherished memories (in addition to all the amazing historical sites we visited) is sitting up on the top deck and just soaking in the views, watching the life on the banks of the Nile. 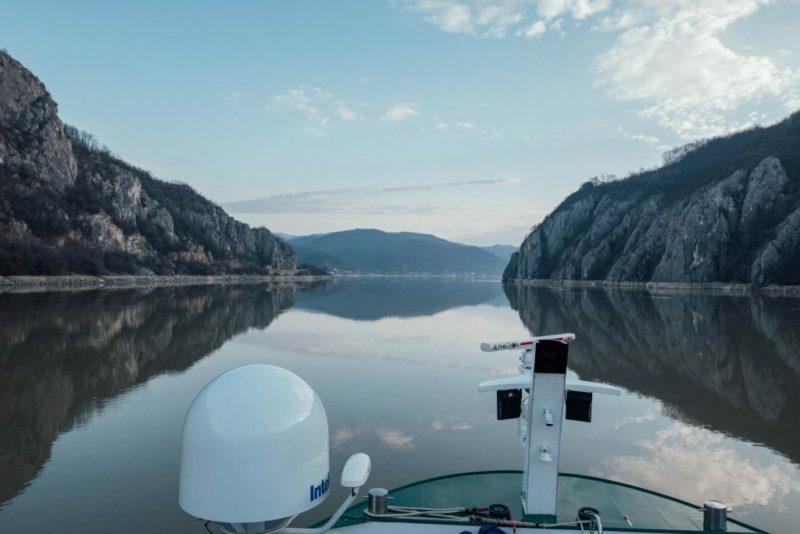 And how about this amazing photo my friend took onboard her Emerald Waterways cruise on the Danube? Just stunning and perfect example of how calm the waters can be on a river cruise. This may be unpopular by some, but much loved by me. As river cruise itineraries are jam-packed with ports and activities, there are no formal nights onboard. Ships do often have a Captain’s Farewell dinner where people put in some extra effort. But generally, river cruise dress code is smart casual and relaxed – like you would expect on luxury ocean cruises too. If you are looking for a luxury, adults-only holiday, river cruise lines offer you many options. 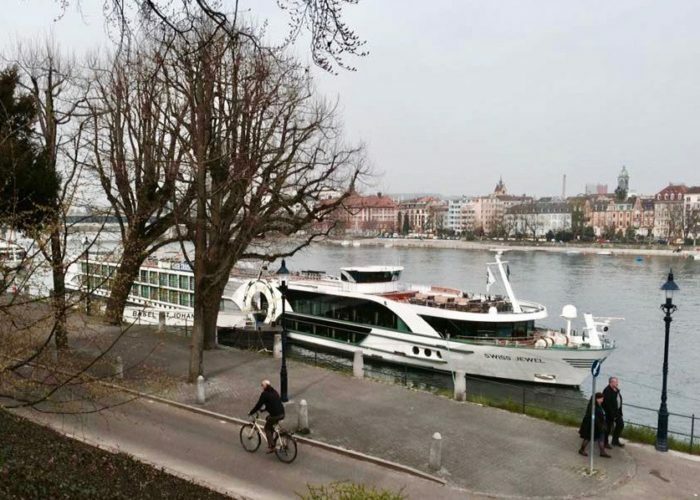 But should you want to travel with your children, there are some river cruise lines that accept kids, while other companies welcome families on some selected sailings (during school holidays). But do note, the few ships that do accept children have very few facilities onboard for them. It is no wonder river cruising attracts more adult cruisers. Anything else to add to the top 5 reasons? Yes! There are much more I could actually add to the above reasons to try a river cruise. 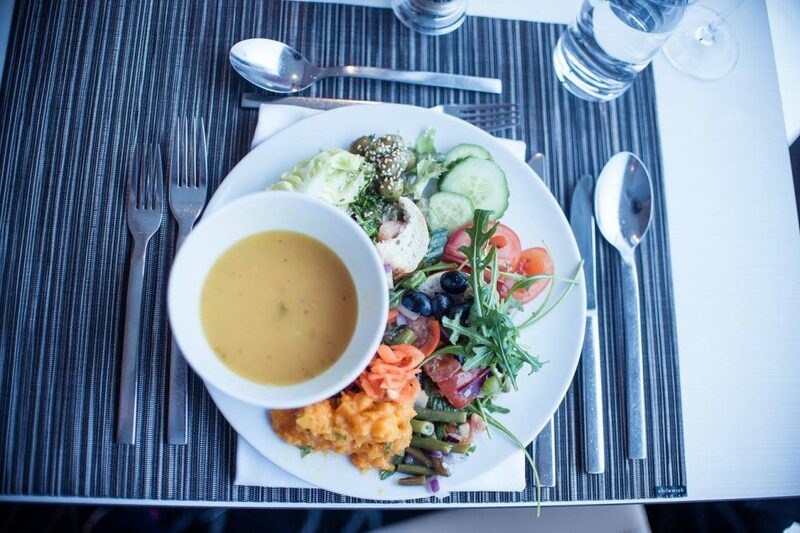 I have had excellent feedback from vegan cruisers on river cruise lines: staff have been very helpful and catered well for dietary needs. 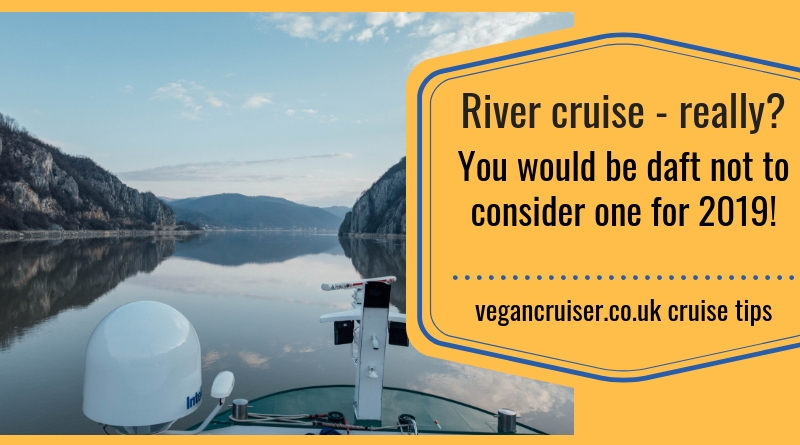 There even are some fully vegan river cruises out there. Mostly covering traditional European waterways but some far-flung destinations too, like the Mekong Delta in 2019. To add to my five reasons above, river cruising also is a booming trend. Why not get onboard now and say you were one of the early adopters? 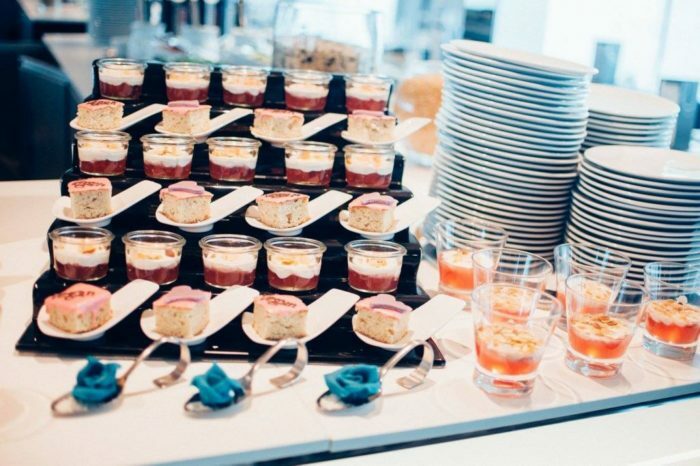 Earlier this month the Cruise Lines International Association (CLIA) 2018 river cruise conference in Paris reported a 21% jump in passenger numbers in the last year. More people are opting to cruise rivers and why should they not? There are river cruise ships/companies to suit every taste, much like in ocean cruising. There are ships with simple Scandinavian decor, while others are more traditionally luxurious with opulent gold, chandeliers, and rich ornate wood. 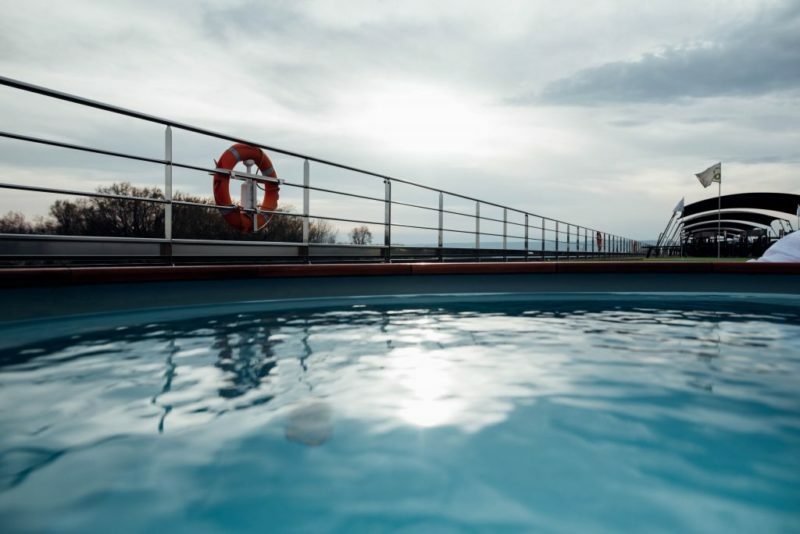 But, there are some with much more modern interiors, like the Emerald Waterways fleet whose ships I’m partial to after a friend sailed on one of their ships – with the retracting pool featured above. 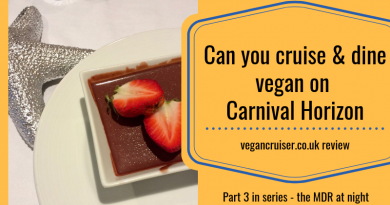 This was the Emerald Dawn all-vegan charter cruise for New Year 2016/2017. UK free newspaper Metro even featured this sailing and the ship – and the food looked absolutely fabulous! 2018 also saw the launch of a river cruise line aimed specifically at us under 45s. These two ships are boldly-coloured, and have youthful decor & menus to attract Millennial and Gen X cruisers. 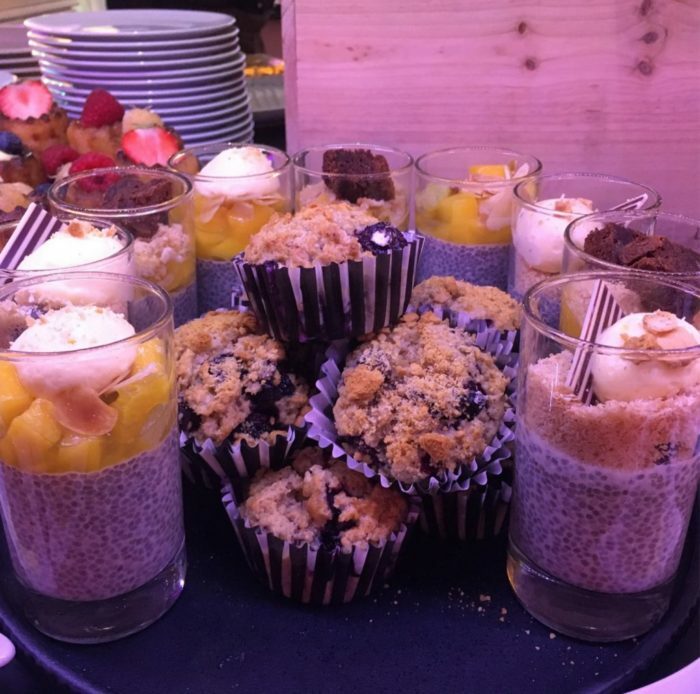 I am so curious, as I have never seen chia pudding on a ship breakfast menu before! 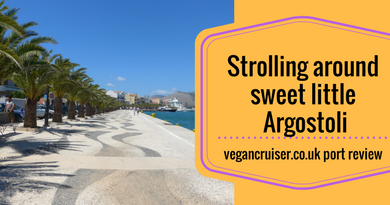 Cruising definitely isn’t just for old people. And while river cruising might have a reputation for being for older folk, us younger cruisers can enjoy it too! 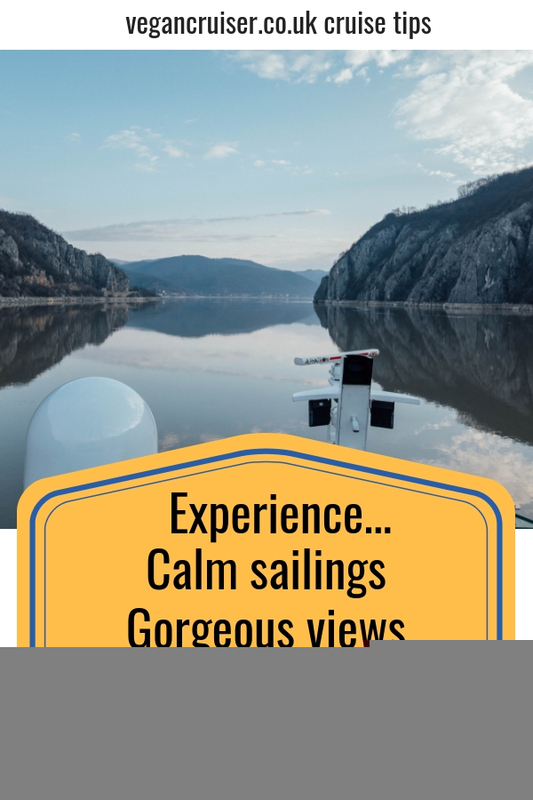 If you’re thinking of booking your first cruise for 2019, my introduction to cruising post will help as most of it applies to river cruise holidays too! If you have any questions or comments let me know. I’d love to hear how you got on and if you would recommend the same itinerary or ship! Many thanks to the wonderfully talented Tara of Tara Gillen Photography for her stunning river cruise photography I was able to use on this post. Tara is based in Bedfordshire, England but is available for wedding and portrait photography anywhere in the UK and abroad. ← Carnival Cruise Line comes back to Europe with Radiance! I would literally love to do a river cruise, I have seen some gorgeous ones online, I’m hoping we can do something like next year!